Josh Hickey is another Idaho native, hailing from Fruitland, Idaho. He attended the University of Idaho where he earned a Bachelor's Degree in International Relations. In high school, and again in college, he studied abroad in Italy. Spending almost two years in and near Rome, he became proficient in the language and developed a deep appreciation for the Italian culture. Particularly influential was the semester he interned with a program that provided assistance to political refugees in the form of food, shelter, and legal assistance during the naturalization process. The program was specifically designed to assist young men fleeing persecution in the Middle East and Africa. The stories they shared with him of the horrors they suffered as a result of their religious or political beliefs have stuck with him to this day, and helped lead to his decision to attend law school. 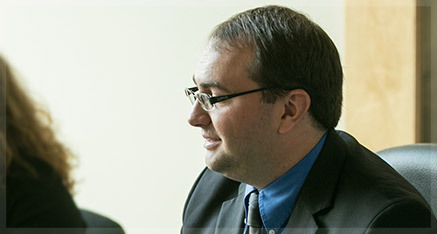 Josh attended the University of Idaho's College of Law and graduated in two and a half years. Before passing the bar exam, he interned with the Bonner County Prosecutor's Office and the Sandpoint City Prosecutor's Office. His background is primarily in criminal law, but has experience in family law and general litigation. Josh enjoys being outdoors, especially hiking, hunting, and fishing and is grateful for the abundant opportunities Northern Idaho provides to engage in those activities.